When most anglers first glimpse the Bighorn an overwhelming feeling of awe sweeps over them, inspired by both the beauty and legend of this river. I get the same feeling when first emerging from the concourse and glimpsing the emerald grass of the stadium of a favored sports team, tripping over my own feet because I can’t take my eyes of the field even to find my seat. It takes a while to take it all in and get a feel for the surroundings. For the visiting angler, once the head clears a bit, the question that comes to mind is “where do I even start?” for this is certainly big water, often bigger than the Yellowstone with which the Horn merges to the north. The obvious solution is to hire a guide or watch other anglers working the water, but every good angler needs to understand the why’s as well as the where’s and how‘s. A little perspective gained from history never hurts either. The Bighorn is a tailwater with massive productivity based on concentrated limestone nutrient loads accumulated and then released from the reservoir above. This river supports far more wild fish per mile than most, not only compared to freestone rivers but also other famous tailwaters. The major factor that tips the balance is the ‘After Bay’, a second smaller dam constructed below Yellowtail Dam. This far sighted bit of engineering enables managers to maintain constant flows as opposed to the wild daily fluctuations found in most other tailwaters. As such we don’t have to keep an ear out for a siren that signals the massive releases of water required to generate peak demand or unexpected power requirements. (Anglers from the TVA and Arkansas streams all have stories of being stranded on islands or making a mad dash to safety.) When I was guiding at Lees Ferry in Arizona the normal protocol was to have very low water in the morning rising to perhaps ten times the flows by noon. The food base and thus the trout were limited to weeded areas below the daily minimum flows. The high water running over clean desert rock held no food and no fish. In contrast the Bighorn releases are metered gradually over the year to service irrigation demands, provide power generation and most importantly to maintain safe reservoir levels. As such the ecology of the river is greatly enhanced. Aquatic vegetation and associated benthic life has a chance to establish or retreat seasonally over a period of weeks, thus the trout are also able to adapt their populations and behaviors to match the average conditions rather than the minimum. In this amazing habitat, generations of wild reproduction can adapt far better than any artificial stocking rate. Here the trout always seems to be healthy and in sync with their environment. Water temperatures on the Horn often seem confusing and counter intuitive to many. Years with lower the summer flows have lower temps and higher flows mean warmer water. This is based on from what level of the reservoir’s water column the releases are drawn, the higher the warmer the lower the colder. These variable summer temperature ranges determine what food base is available to the trout year to year, or more accurately weather cycle to weather cycle. When I first started fishing the Bighorn in the 80’s we were in a fairly normal weather pattern. Minimum flows averaged 3000-5000cfs most years and the river was perfectly suited for massive numbers of scuds, sow bugs, aquatic worms and midges…normal tailwater fare to be sure. But the river was also home to blanket hatches of various mayflies, small stoneflies such as yellow sally’s and several caddis species. The Bighorn became synonymous with large fish in big numbers along with world class dry fly fishing, a distinction not shared by many other tailwater fisheries. In the late 90’s and early 00’s we entered a prolonged drought period which brought the average flows down into the 1300-1500cfs range. As the lake level dropped without significant recharge from spring runoff, managers were forced to maintain these low constant flows year round. The temperatures dropped out of the optimum range for mayflies and caddis. The lack of scouring flows reduced exposed gravel beds and allowed silt to accumulate. Many hatches petered out and those that remained such as the black caddis retreated into brief emergence periods in late summer or early fall. The trout reacted to the reduction in habitat by dropping in numbers and adjusting their feeding behavior. Midges, scuds and sow bugs taken subsurface became the staple diet.. Fishing was still awesome, just not so much dry fly activity save for some small olives, clustering midges and hopper action when conditions allowed. 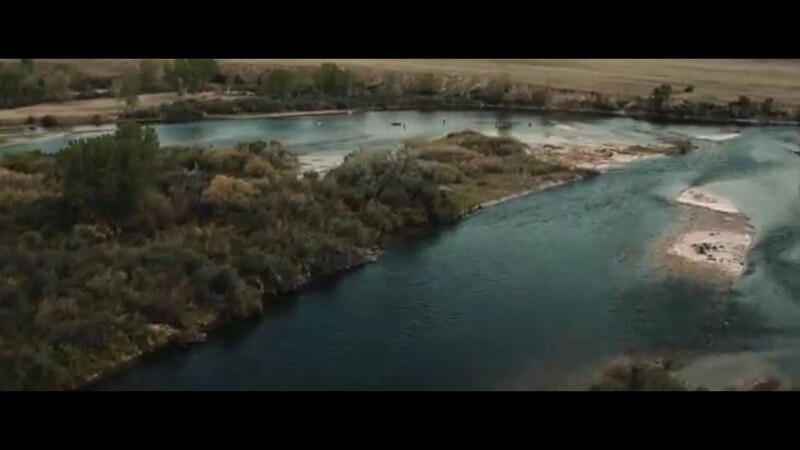 The water situation behind Yellowtail Dam became so dire that a cross border legal and congressional water war began, with Wyoming demanding flows at the Montana end of the river be reduced to 800cfs or less. This would have been a disaster for the trout as well as for anglers, as floating would become impossible and the available habitat would have been reduced to a point that biologists feared that little to no reproduction could occur. It was estimated by some biologists that viable trout water would be restricted to the first couple miles below the dam. Then as happens in this country, the weather turned on a dime with record snow pack and a quickly filling reservoir returning normal flows to the Big Horn. Slowly at first, but with an inevitable exponential rise the bugs have come back over the last couple years. Last summer the yellow sally hatch exploded and PMDs made their first significant appearance for nearly a decade. Black and tan caddis are emerging earlier in the summer and the tricos are once again causing gulping trout to pod up in the upper three miles…a sure sign that surface feeding behaviors were ingrained once again. I really enjoy your blog–I read it faithfully. Thanks for taking the time to do it. I spend 6 weeks in the spring and fall in Fort Smith and never seem to tire of fishing the Big Horn. good read, well written. I, too, have fished the Horn for more than twenty years and your observations give us all good advice. thanks for the education and see you on the Horn. Thanks for your kind comments fellas. Bob put together a great article here and I have also received numerous emails praising his work. Thanks for following our blog!